NAMTA members all have one thing in common – their desire to support the arts in any way they can. The Canadian Resource section of NAMTA's Art Advocacy site's goal is to provide NAMTA's Canadian members with the tools and knowledge to help you to get involved in advocating for the arts in both your own community and across Canada as well. The Canadian Arts Coalition is a collaborative non-partisan movement spearheaded by a group of national arts service and membership organizations. They are united in the belief that the future of the citizens, their towns and cities, and the nation itself depends on a rich, vibrant and diverse arts and heritage community. Since its inception, the CAC has successfully advocated for increased support for the arts through the Canada Council for the Arts and the Department of Canadian Heritage. Collaboration with many partner organizations such as the Canadian Conference of the Arts, theCanadian Centre for Policy Alternatives, and Apathy is Boring. 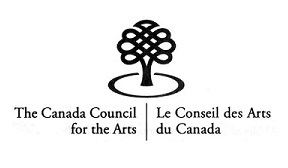 The Canada Council offers a broad range of grants and services to professional Canadian artists and arts organizations in music, theatre, writing and publishing, visual arts, dance, media arts and integrated (multidisciplinary) arts. It also seeks to raise public awareness of the arts through its communications, research and arts promotion activities. 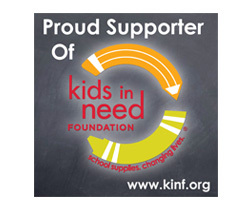 Founded in 1996, ArtStarts in Schools is a not-for-profit organization that provides innovative arts programs for young people, practical resources for teachers and artists, and leadership in advocacy for arts in education. Each year, ArtStarts provides over 640,000 unique arts experiences for young people in urban, rural and remote communities across British Columbia. The Arts Advocate Report was founded in 1994 to strengthen the engagement of Ontario’s arts and culture sector in public policy. The Report offers objective, non-partisan information and analysis about policy, events and trends that affect Ontario’s cultural sector. It is published six times a year and is complemented by E-Bulletins, when information and events warrant. On occasion, The Arts Advocate Report will publish special reports or convene briefings exclusive to subscribers that focus on issues of specific relevance to the cultural sector. The Alliance for Arts+Culture is BC's leading arts information aggregator and a resource to the arts, culture and heritage community. Since 1986 they have advocated for this sector by monitoring public policy, synthesizing issues for it's members, providing support, services and professional development, and representing the interests of artists and cultural workers.